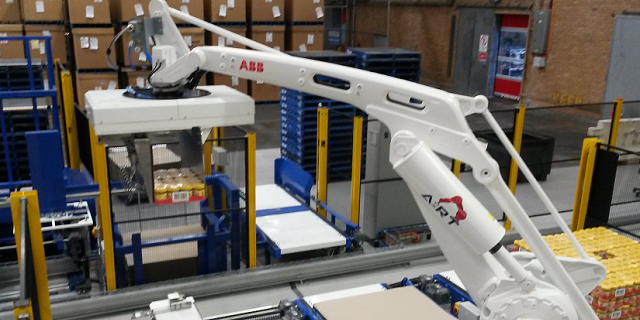 A&RT has a diverse and comprehensive portfolio of packaging solutions which can be grouped into Picking, Packing and Palletising applications. 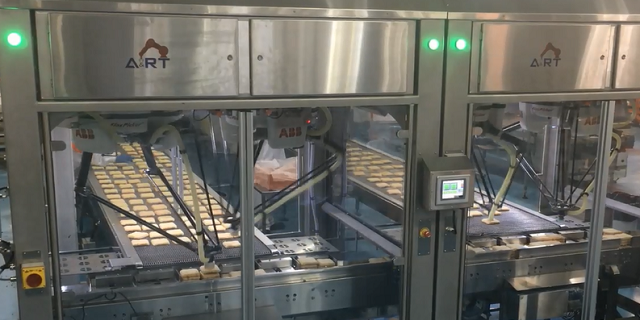 Our Packaging automation solutions speed up the process of picking products up and placing them in new locations, increasing production rates, and lowering handling costs. 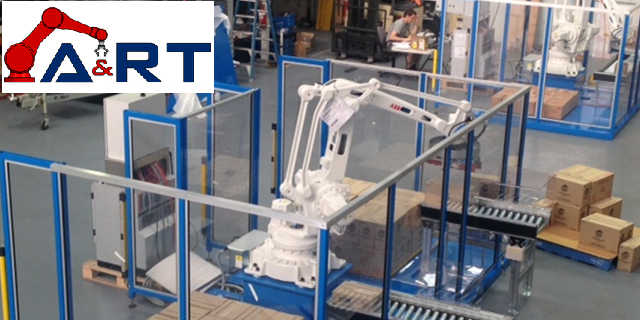 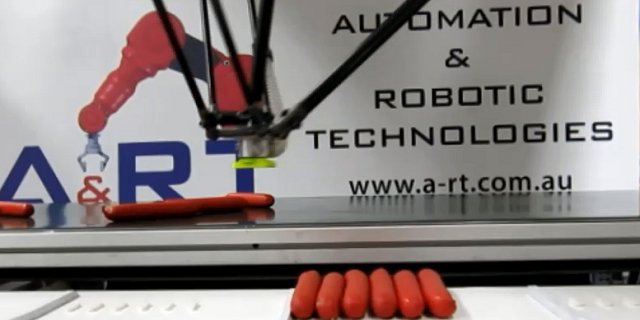 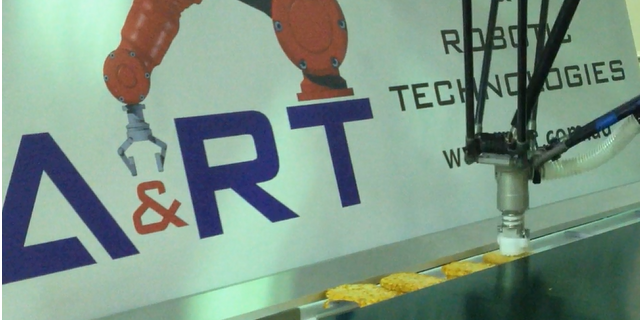 A&RT offer automation solutions in all three areas of packaging and engineer our products to cater to customer specific needs. 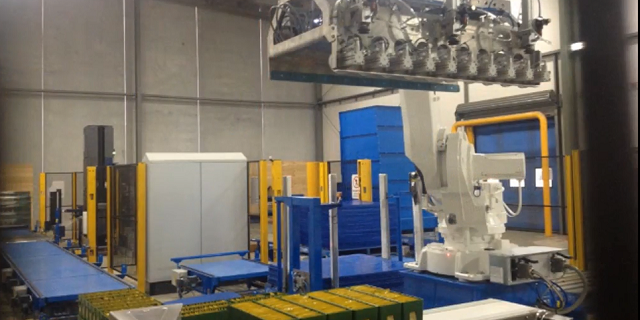 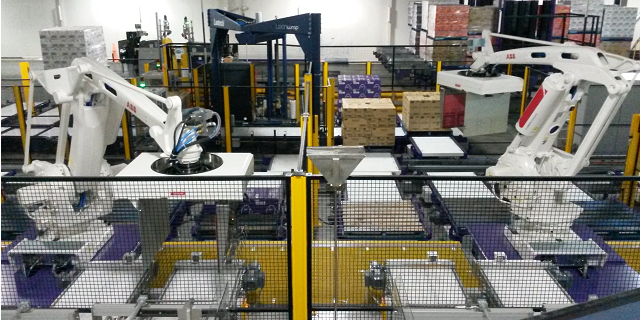 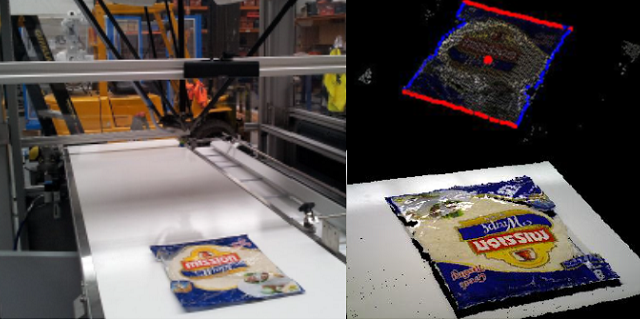 Consistency, Accuracy and Speed are the main benefits of using robotic pick and place systems. 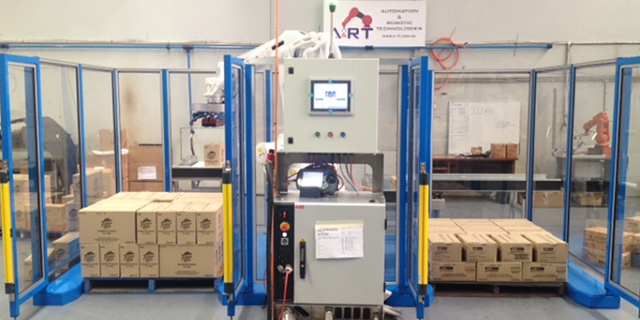 A&RT packaging machinery can be engineered for your needs, programmed and tooled to provide multiple applications if required. 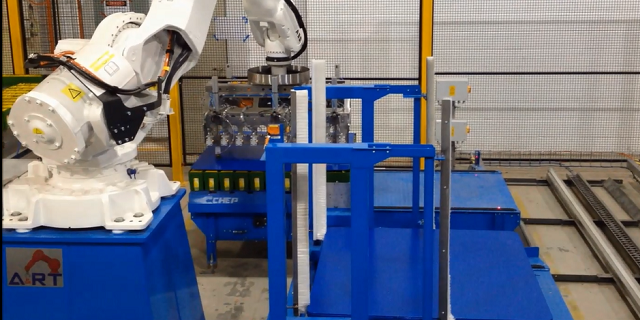 Robotic pick and place system offer long-term savings to companies by increasing throughput and lowering manual handling costs. 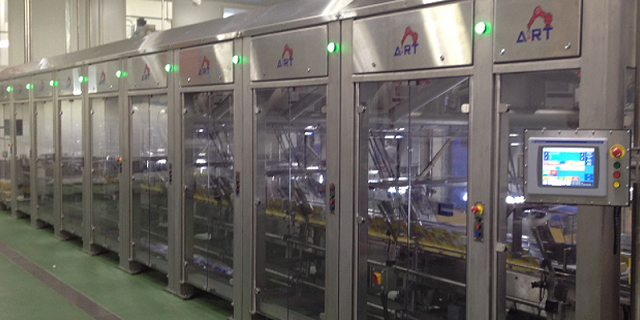 Packaging Equipment involves the application of several principles. 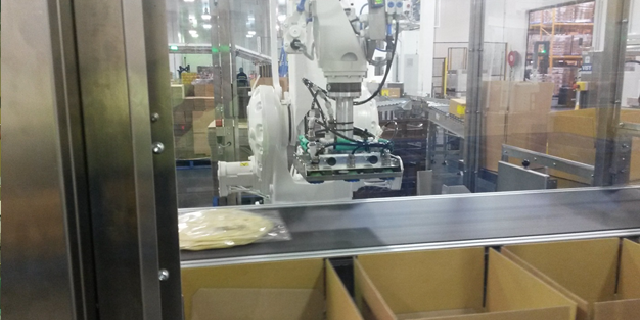 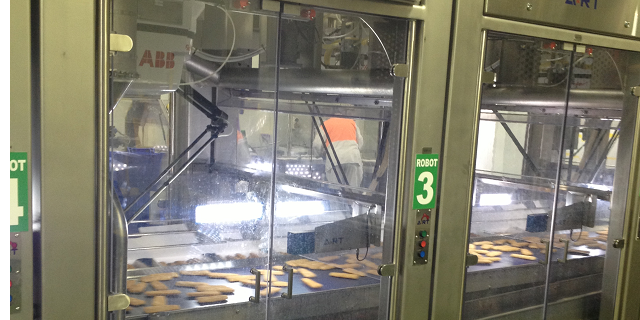 Today, the field of packaging requires high speed – flexible machines. 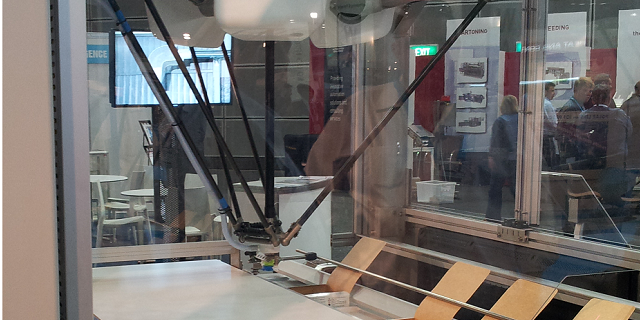 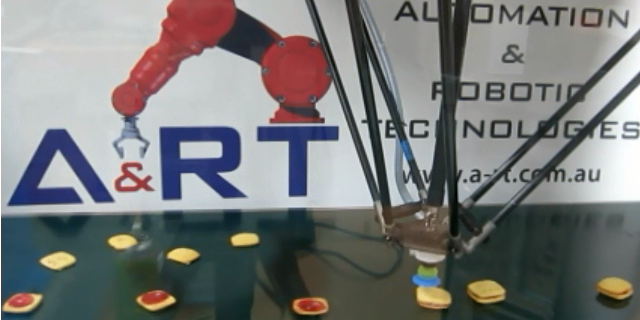 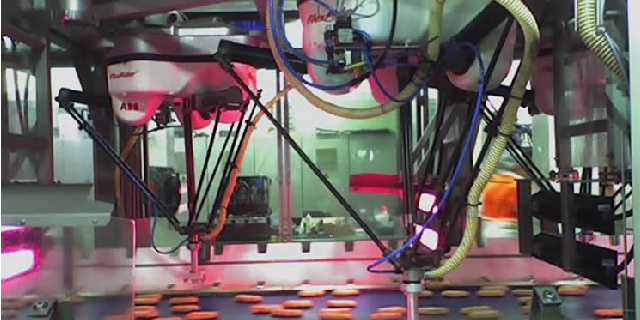 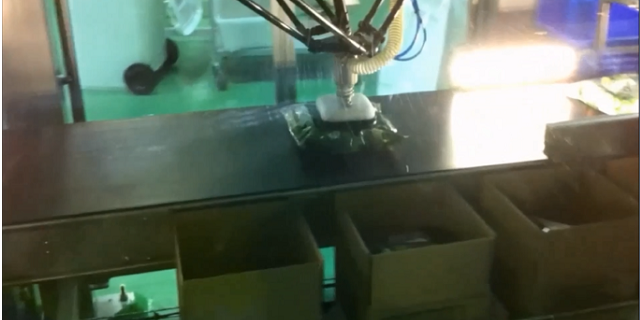 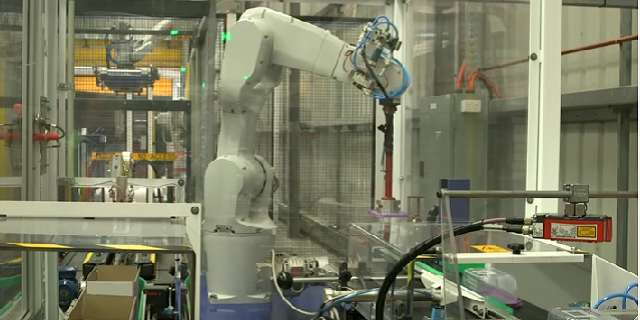 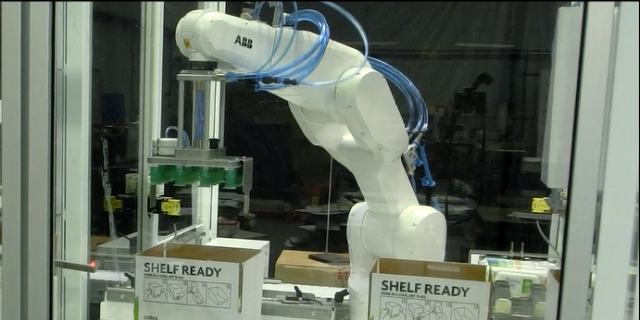 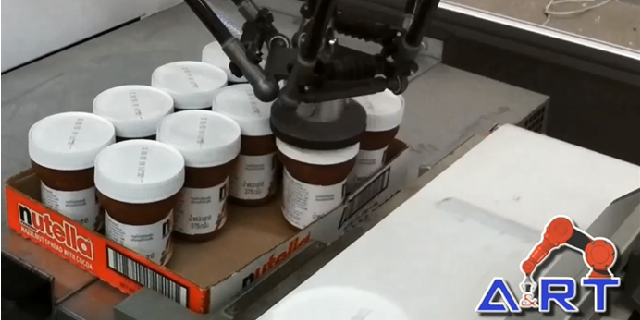 A picking robot can be any robotic manipulator used to pick a product up, and relocate it. 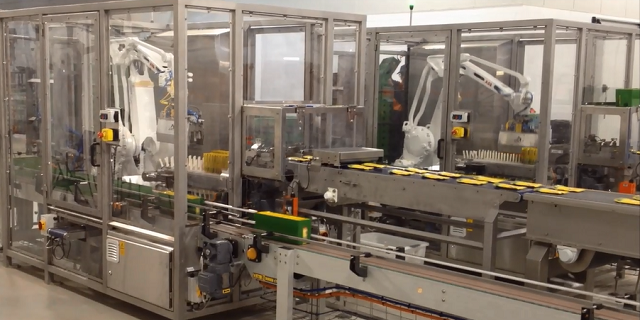 In the packaging arena, picking, packing, and palletizing can be used somewhat interchangeably to describe the process depending on the application. 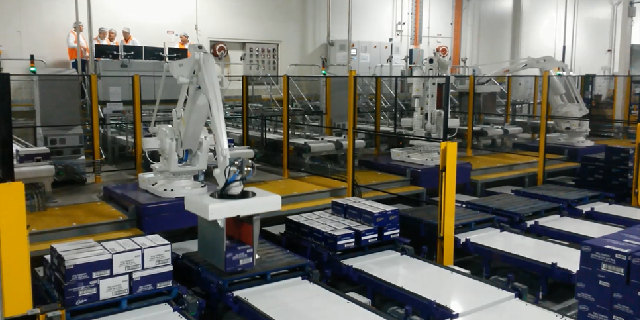 Picking applications are commonly used to describe when products and picked from one location and re-located into a package, container or other location. 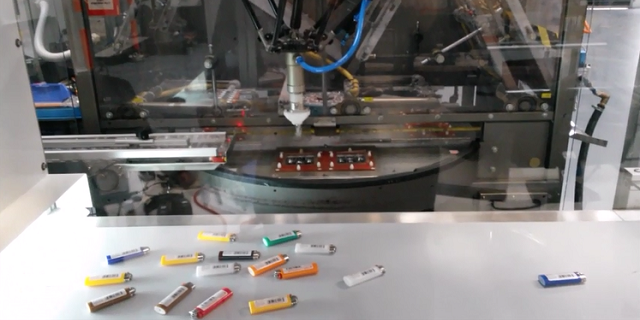 The container could be a small retail package, or a larger bulk service package, or an intermediate storage device. 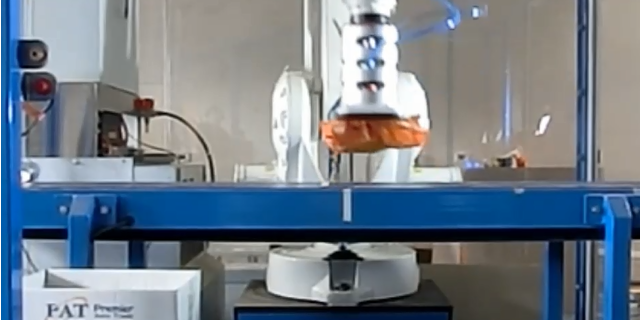 In general, a picking robot is a high speed, light payload and may use a three, four, or six axis manipulator. 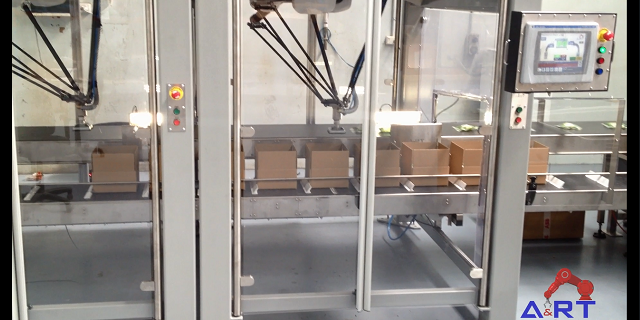 Packing applications are defined when groups of products or packages (ie retail packs) are put into a shipper container. 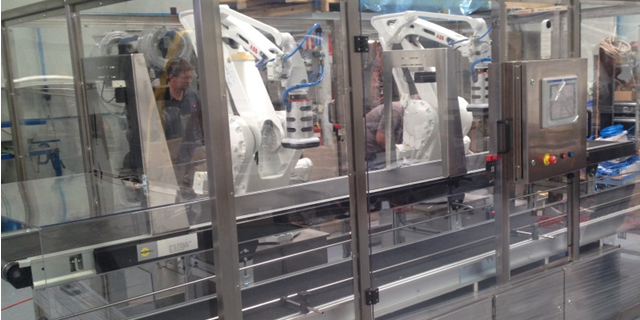 A shipper container generally holds multiple retail packs and can have a variety of configurations and container types. 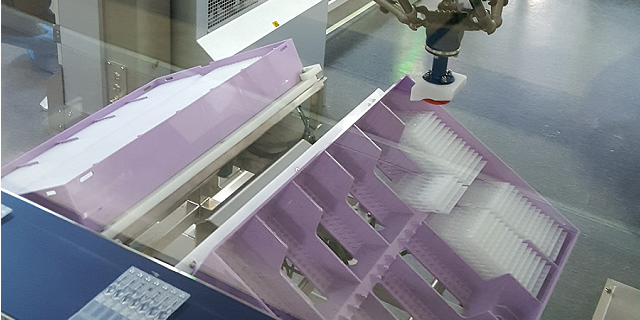 The basic packing application is when small retail packs (inners) are commonly grouped together and packed into a shipper pack (outers). 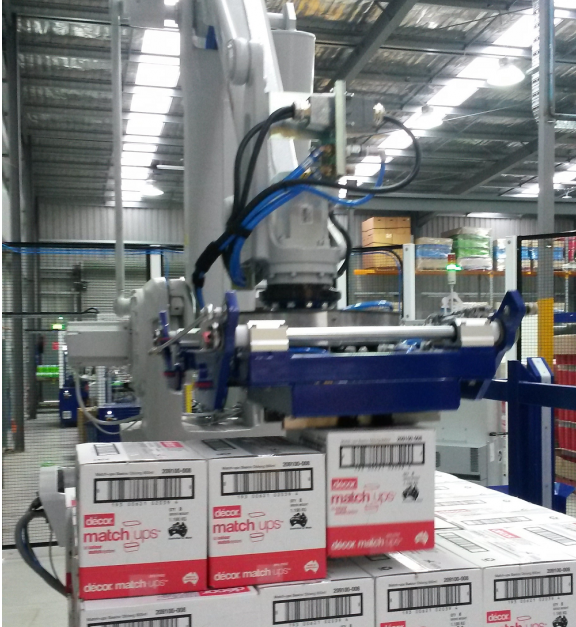 Bulk service packs can be processed with picking or packing application, dependant on product size and rates. 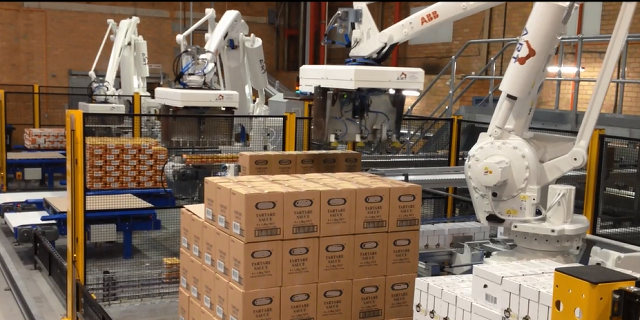 The outer pack, or bulk pack will then proceed to a palletiser for creating a load for transportation purposes. 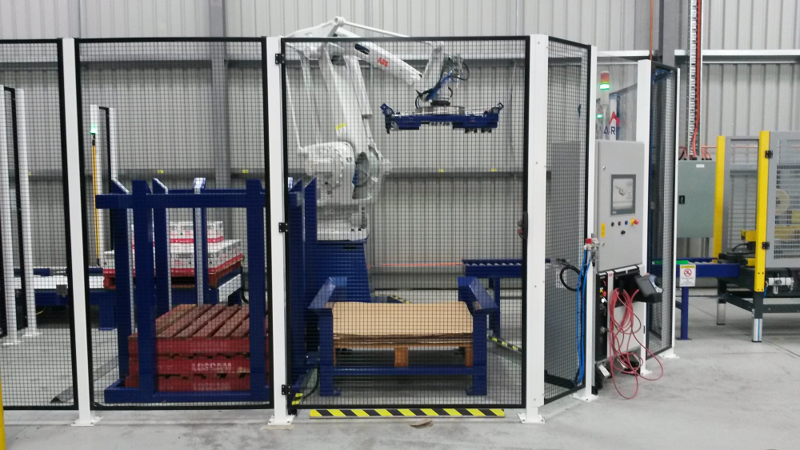 Palletising applications pickup cartons, containers, buckets, shippers or intermediate storage devices are loaded onto a standard pallet for the purpose of transportation to distribution centres, or the end customer. 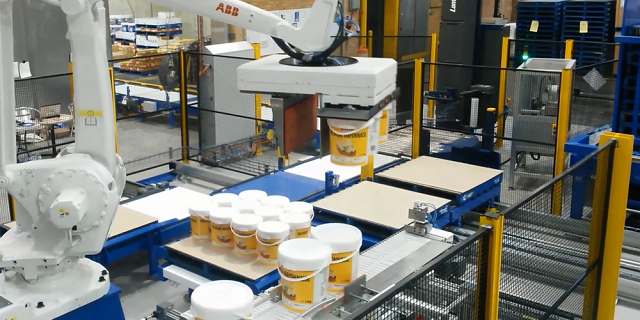 Palletising applications are one of the more common robotic machinery types, and covers a vast variety of packages and products.A&RT have a comprehensive offering for palletising cartons, trays, bags, buckets, cans, bottles, to name a few.